Second album by German band influenced by IQ (circa 1985-'87), Saga, Galahad, and many others. 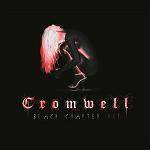 More information: German band CROMWELL was formed back in 1992, and released their debut album "Burning Banners" in 1997 through the German label Angular Records. Line-up alterations and other issues forced the band to stop for a few years, and so this second album has been in the works for many years now. Their music is influenced by Prog bands such as IQ (circa 1985-'87), Saga, Galahad, and many others.